If “Garden of Eden” vibes are what you’re aiming for on your next vacation, add Samoa to your list. It’s lush and exotic, sure, but it’s about as “middle of nowhere” as anywhere can get, too — set in the turquoise expanse of the South Pacific, it’s 3,500 miles from Australia and nearly 5,000 miles from California. The nation’s two main islands remain off the radar of most travelers — but after checking out these images, you might not be one of them for long. Savai'i, the larger but less populous of Samoa's two main islands, is waterfall central. The Afu Aau Waterfall—also known as Olemoe Falls—tumbles out of the rainforest into a deep emerald pool, where the water divides into three and then goes for yet another plunge toward the Pacific. This landscape would be remarkable anywhere else, but you'll find spots like it all around Savai'i. The Samoan islands are volcanically formed, and lava has done some incredibly cool things here. Case in point? The Piula Cave Pool, less than an hour's drive from the capital city of Apia on the other main island, Upolu. Tatau, or tattoo, is an incredibly important part of Samoan—and larger Polynesian—culture. Ancient symbols are still used today, and new generations are finding pride in continuing the old, old, old traditions of their homeland. Apia's Samoa Cultural Village is a good place to explore this incredible art form. Move over, Shamu. The Alofaaga—or Taga—Blowholes are some of the most powerful on Earth. Every few seconds (that is, with every wave) water comes funneling up these sea tubes, powering blasts of spray hundreds of feet into the air. Come at high tide, and you'll get soaked (it's a good thing). Note: Don't be surprised if you see coconuts flying through the air. Locals sometimes throw them in for effect. This waterfall is literally in someone's backyard in Lotofaga, Upolu (the owners welcome visitors). And to think we were told a white picket fence was the dream! 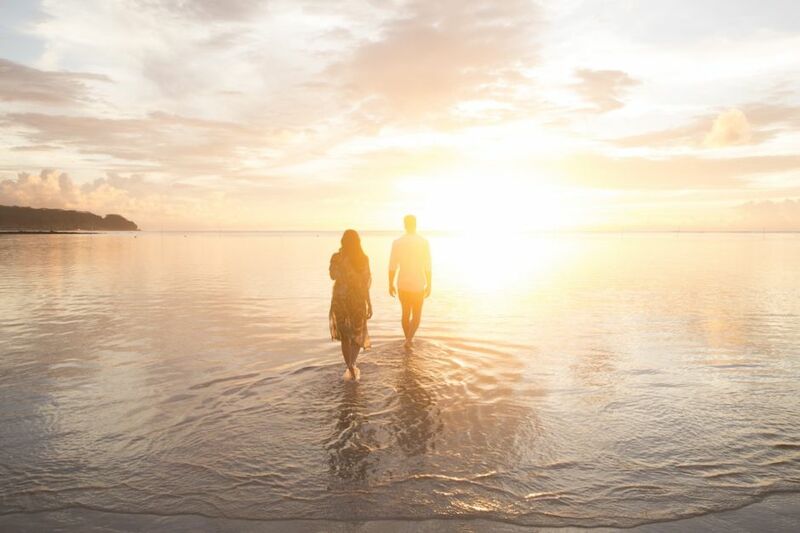 "Le Lagoto" is Samoan for "sunset," and the ones you'll catch at Le Lagoto Resort (a boutique property with 10 right-off-the-water bungalows) are pretty spectacular. 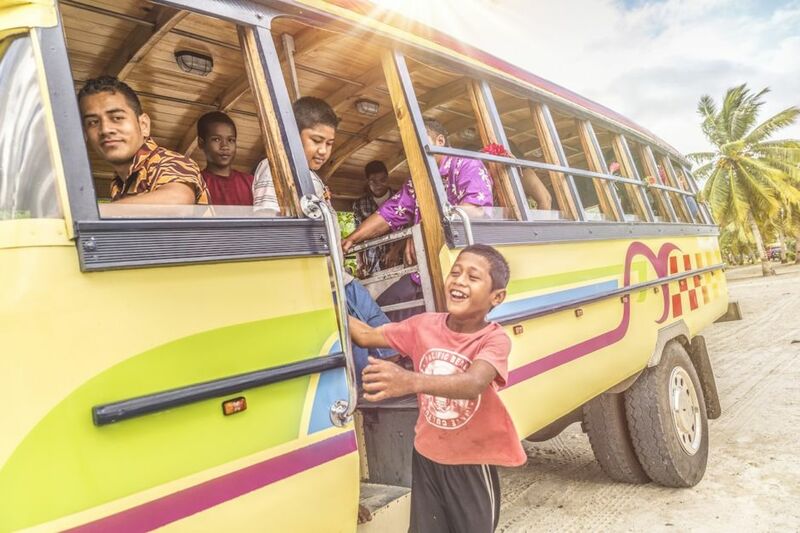 There are plenty of ways to get around Savai'i, but taking the bus might be the most memorable. You'll find stations behind most of the larger markets, and routes run all around the island. White sand, a translucent lagoon full of tropical fish—Lalomanu Beach, one of the easternmost points on the island of Upolu, is widely regarded as one of the most "pristine" beaches around. Look for the green sea turtles! 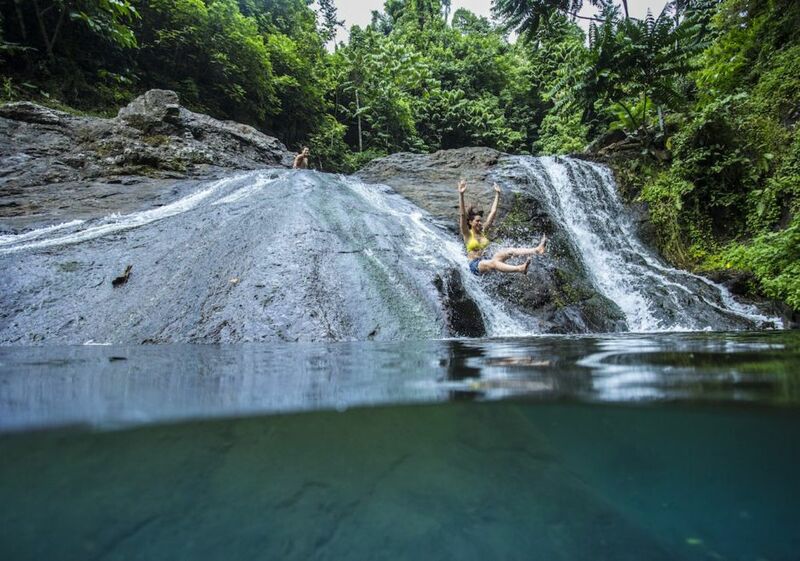 A 15-minute drive from the capital city of Apia are the Papaseea Sliding Rocks, basically two small waterfalls that flow over smooth stone. One is for kids, the other for adults, and both put the plastic waterslides of your childhood to shame. 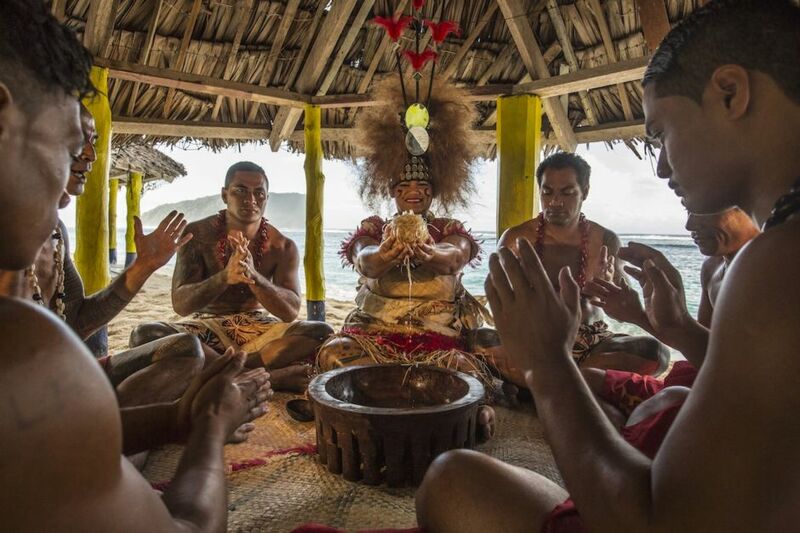 When you're here, you should definitely check out an 'Ava Ceremony, one of the most important Samoan rituals. 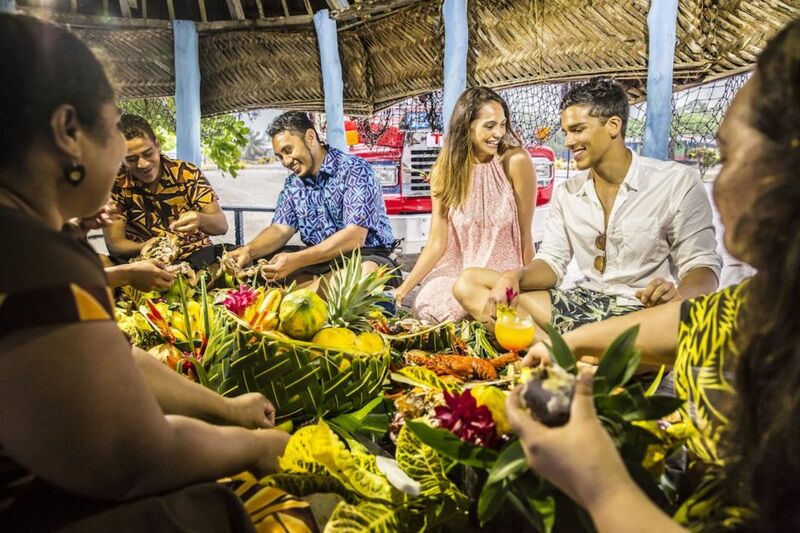 It centers around the passing of 'ava (the ceremonial beverage you might better know as kava) and is held during most significant events in Samoan life. Aganoa Lodge on Savai'i offers fully guided surfing experiences right outside their door—that is, if you're looking to leave your open-air bungalow. Chill on the beach at the Return to Paradise Resort long enough, and eventually the sun and waves turn to moon and fire. 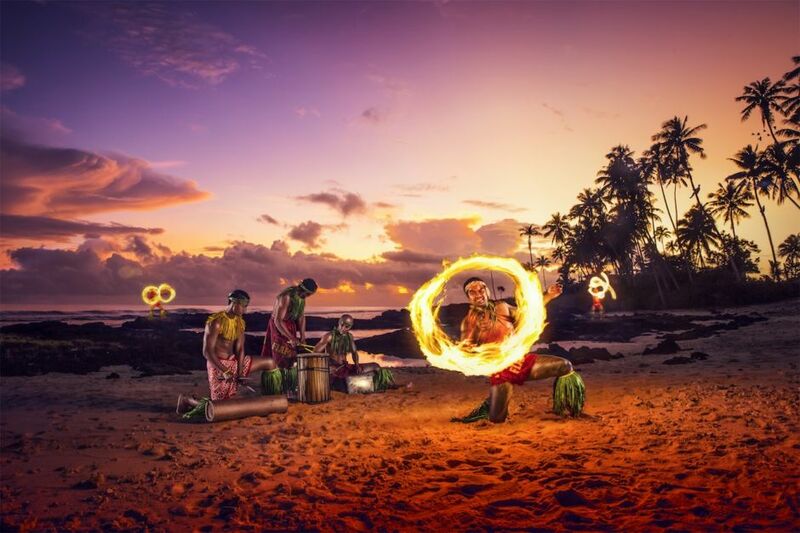 The fire knife dance is another cultural highlight you can plan to witness on the islands. Two giant watering holes joined by a lava tube? 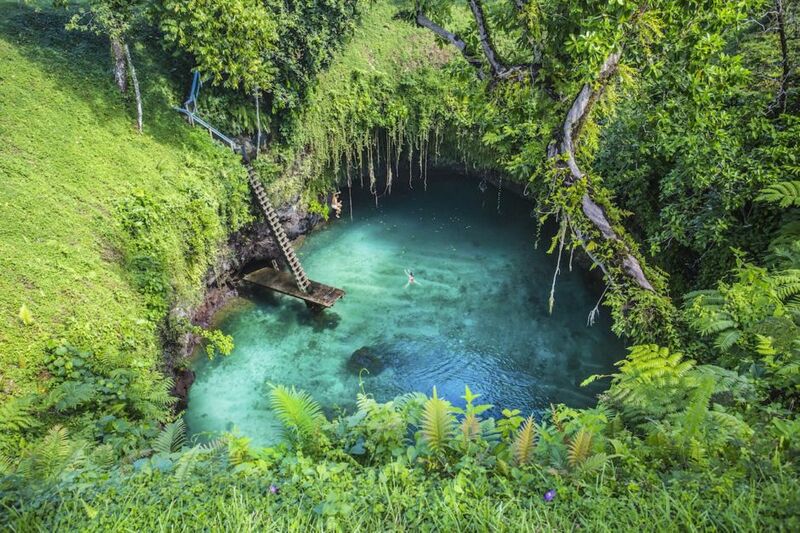 That's Upolu's To-Sua Trench, and the diving board doesn't hurt the appeal. It's 90 feet deep, so work on that backstroke! 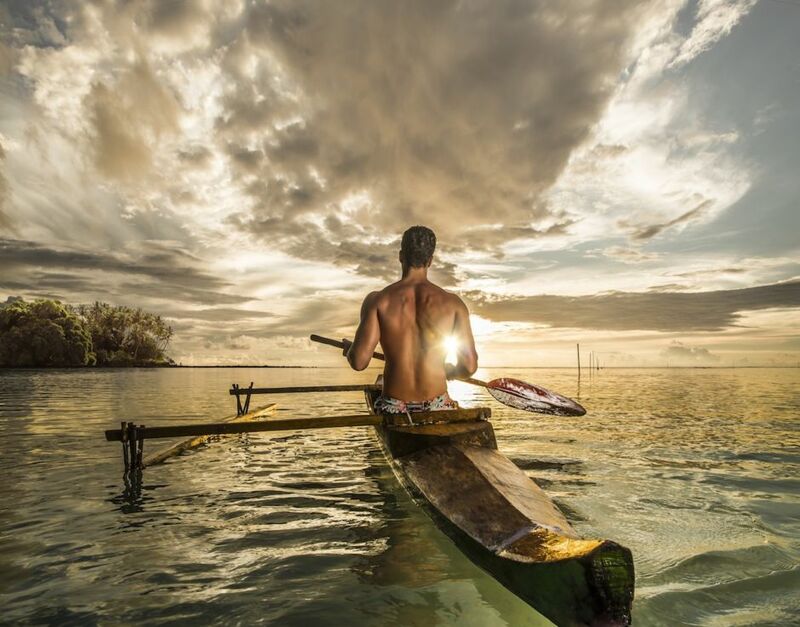 You can paddle lots of places in Samoa, but Fagamalo, on the island's northernmost point, is hard to beat. Bonus points if you try out a traditional Polynesian outrigger canoe. 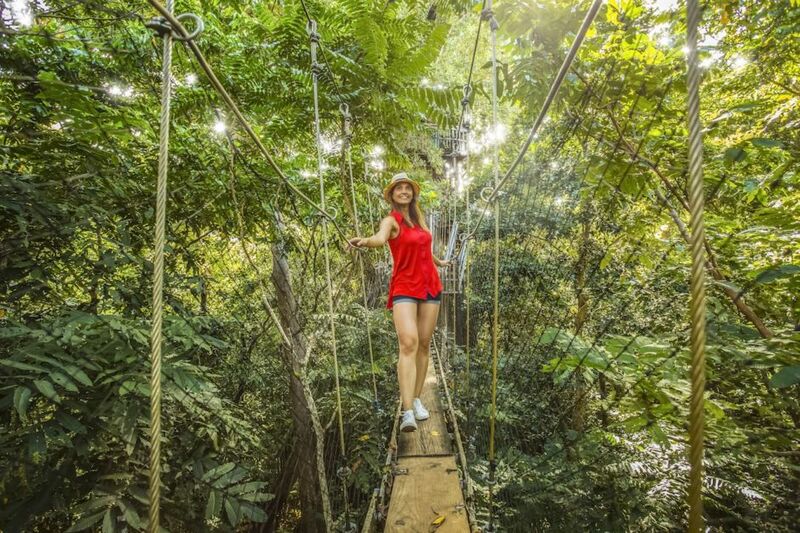 The Canopy Walkway in the Falealupo Rainforest Preserve will take you 120 above the forest floor. You'll walk among the treetops and the hundreds of different species that call this preserve home—one that will be most noticeable is the giant, giant banyan tree, to which your ropes are anchored. All of a sudden, that cruise-line buffet seems shameful. One of Samoa's many, many idyllic beaches, this one adjacent to the aforementioned To-Sua Trench. Yep, the colors are real. This post is proudly produced in partnership with Samoa Tourism Authority.